Thoughts On Selling™: What Do Buyers Really Want? In most early and even in mid-stage discussions, solutions are the opposite of what enterprise buyers value. 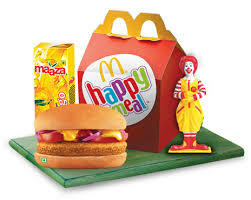 When I talk with senior level technology buyers, many react quite negatively to the word “solution’, with several stating that the word, suggesting preconfigured package of software and services, conjures up the image of a McDonald’s Happy Meal, with bundled burger, fries and a toy. Most sales teams believe that buyers want solutions to their technical, or in some cases, business problems. In an HBR article entitled The End of Solution Selling (August 2012) , the authors describe solution selling as searching for a “hook” on which the rep can “attach her company’s solution to that problem.” An off-the-shelf solution in search of an off-the-shelf problem. That’s not solution selling, that’s fishing. In early and mid-stage discussions customers want something very different. They want to be heard. They want to be listened to. They want to be understood. They want their prospective vendor to understand the risks faced in taking action, both personal and organizational. They need insights based on their specific business environment. The help buyers want is elusive. Most sellers are too busy, or too solution-focused, to be helpful. They’re too busy talking to listen. If they’re not talking, they’re still not listening…they’re merely waiting to talk. While sales people are presenting qualifications, citing case studies, doing product demos, the buyer across the table is calculating risk. What are the risks in going with this vendor? Can they make good on their promises? Do they really understand what we are trying to accomplish? Do they have the resources to fix things when something goes south? Who will be doing the implementation? If it’s a different team than the one in front of me, will they understand our problem? Do they really understand what I need to accomplish? Study after study from IDC, Forrester and others find that 24% or fewer sales people understand the customers’ business issues (as judged by the buyers surveyed). Is it any wonder that a third or more of all buying teams end their process with a BAU or No Action decision? The risk in BAU/No Action is relatively well understood; choosing to invest millions of dollars with a third party who doesn’t show much interest or understanding of the business challenges holds significant risk! And so, buyers make smart choices. They avoid sellers’ calls at all costs. Sales teams must break away from the “show up/throw up” approach of presentation. They must come prepared with a solid understanding of the customer’s business strategy, challenges, biases, internal politics and more. They must understand the market and context in which the customer manages their business, who they sell to, the channels used, competitive pressures and more. They must come well prepared and ready to listen. Reading the last 4 earnings calls transcripts on seekingalpha.com is a start. Developing a series of business hypotheses — business problem, financial impact, stakeholder, and more — is a good first step. The next step is to prepare to listen, to actively seek out the input and concerns of the members of the buying team, with the goal of understanding their perceived risk and concerns. And continue to listen. And begin to share results from similar companies — not the how (the mechanics), but the what (the business results or KPIs). Eventually, the sales team and the customer find themselves on the same side of the table, co-creating new ways of addressing the business challenges. Making this pivot in approach is hard. Most tech companies thrive on technical superiority — our bits are better than your bits — so to speak. Conversely, most customers will gladly select a mediocre product, well positioned and implemented, over a technically superior product with a poor fit or implementation. Being genuinely helpful to buyers is often easier said than done. But it’s lucrative. One large company that successfully made this shift achieved a 24.8% lift in margins. In four months. With no turnover on the team. And no changes to its offerings.